At E3 2015 a shy developer named Martin Sahlin walked onto the Electronic Arts (EA) stage and announced his passion project Unravel, developed by Coldwood Interactive. This would be the first game to be part of the “EA Originals” program, where EA helps fund small independent game projects and allows the developer to keep all the profits (after repaying the funding and also publishing/marketing budgets). Despite how you personally feel about EA as a company this is proof that sometimes there is heart even in a big corporation like EA. While the internet would take note of the developers nerves and fragile presentation for the time it felt real and it was clear Unravel meant a lot to Sahlin. In all honesty I would struggle to talk in front of a large audience even if it was about something you loved. Unravel was a cute, puzzle-based platformer where you play a character made out of wire and yarn. The game had beautiful music that moved me in ways that I rarely experience in games. I guess it was made even more unique and special to me because the reception for Unravel wasn’t favourable across the board. My partner loved watching me play Unravel too. 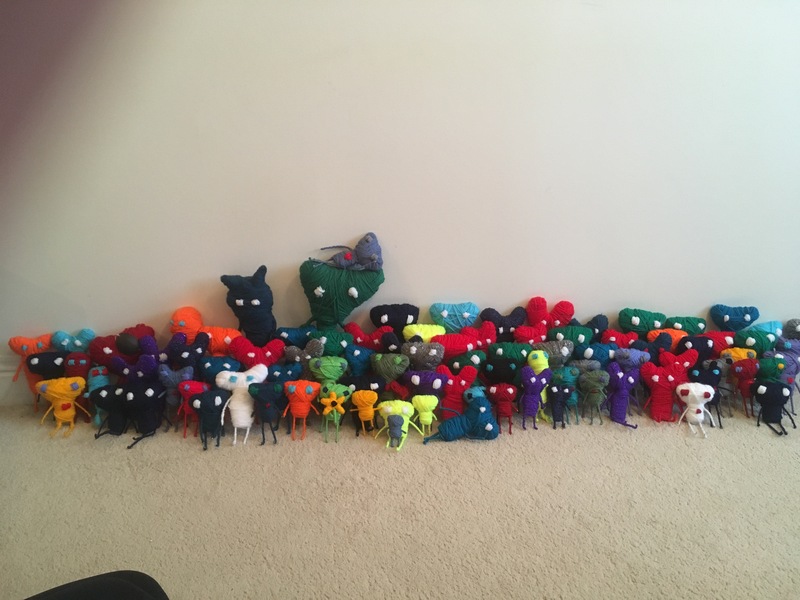 I loved Unravel so much that in preparation for my wedding in 2017, I decided to make 112 Yarny dolls myself in accordance with the number of guests attending (another game inspired decorations but that’s a tale for another day). We knew a sequel was on the way, EA had reported it had been successful, and the developers were already at work on it. My partner and I would theorize what the sequel would be like, with the biggest wish on the list being the inclusion of local co-op; this seemed to be the best evolution of the series. E3 2018 rolls around, Unravel Two gets announced, and both my wife and I leaped for joy. Then we leaped a second time because it was revealed the game was available on the day of announcement and includes co-op. I was so eager to purchase the game I refreshed the Xbox One store page six times as well as switching the console on and off again twice just so I could purchase and download it. I rarely get this excited for a game on launch. Its taken me a while to get to the actual review of Unravel Two, but I felt the above paragraph was important as it discloses how much the original game meant to me and additionally how difficult it was to write the following review.